Since the Eagles and Bears entered the competition in 1987, there have been 145 teams that finished the season fifth or higher on the ladder at the end of the home-and-away season. Maths! Out of those 145 teams, only nine went on to start the next season by losing five or six out of their first six games. 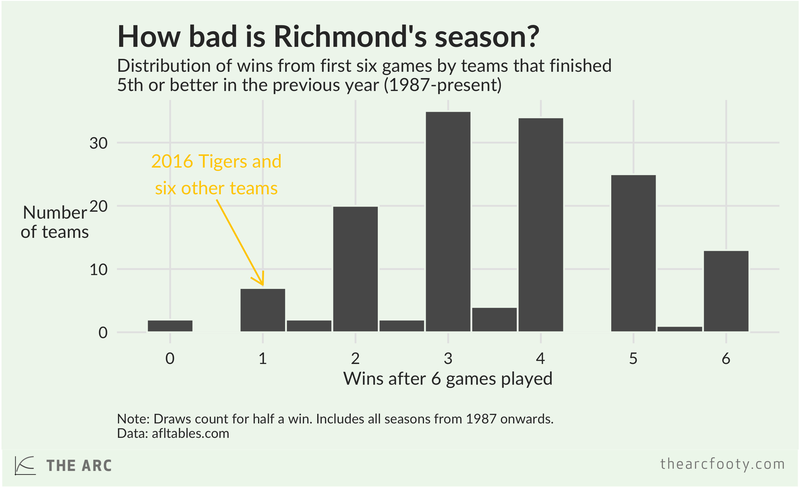 One of those teams is the 2016 Dockers, who finished first last year and have lost their first six in 2016. Another one of the nine teams is the 2016 Tigers, who have won only one game so far. 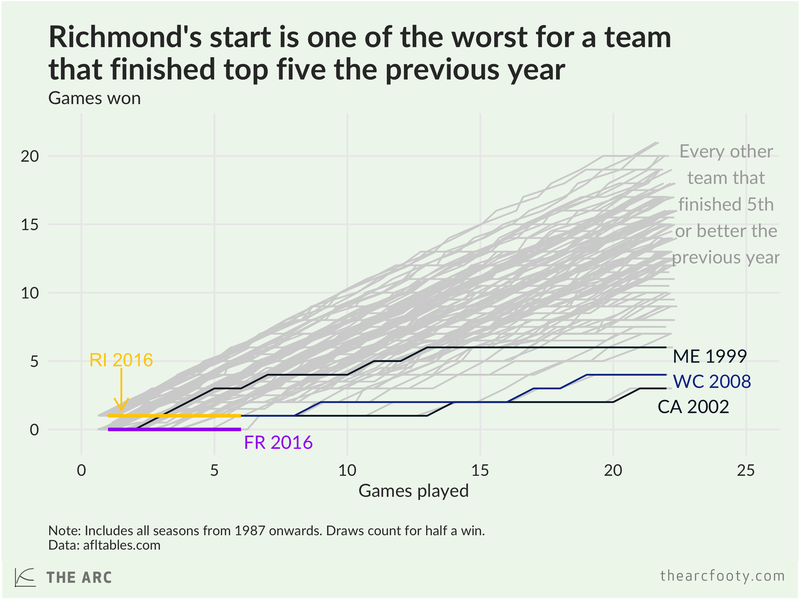 The chart below shows another way of comparing the 2016 Tigers to every other team that finished 5th or better the previous year. You can see that their start to the year has been among the very worst. Can they end the season with more wins than the 2002 Blue and 2008 Eagles? Previous article	← How meaningful is a team’s record at this point of the season?